Free Watches Just Pay Shipping – Truth or Scam? You see such promotions often in social networks. Mostly on Instagram and Facebook, where such posts went viral at the starting days of those shops. But are they really for free? Why would anybody offer something for free? There is lot of interesting details in such offer and I will explain it for you. What watches are popular in such campaigns? Usually watches offered in such offers are cheapest wristwatches owner of the store can find. Of course, they all are made in China, in factories producing thousands of units daily. Materials used for cases and straps are cheapest ones, as main argument for this product is lowest price possible. Design of those watches recall bigger brands. It face contains absolutely no markings, except for the back of the watch. There is usual phrases like “stainless steel”, “japan parts”, “waterproof” and other on back plate. If watch has additional dials, they are decorative, non functional. Manufacturer just draw them on main dial. Most popular watch is in minimalist style, because it is cheaper to produce. Some retailers offer chronograph (with drawn additional dials) or skeleton watches as well. Combined with synthetic leather or canvas straps. Usually, points where strap is attached to the watch, is the weakest link in the chain. Majority of stores use dropship model for such business. Many stores, even biggest ones do that, because of low costs. Dropshipping means, that you order watch from shop, then they order it from China, and Chinese supplier ships item to you directly. Online store owner does not hold any items. Online store owner is just forwarding his customers orders to China supplier. China factory is packing and shipping all items to the end customers. As lowest price is the must, usually items are shipped by post and it means long waiting time for your desired wristwatch. Usually it takes 30 days to deliver from China by post and maybe even more in several countries. 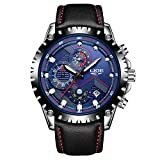 If you live in country where ePacket delivery service is available (USA, Canada, Netherlands, UK and some more) and seller use this service, then you are lucky, as you will receive your watches after 10-14 days. Usually watches are packed in just plastic packet. It is good if there is bubble film around. But it is not uncommon if this bubble film is pressed so tight, and in one layer, that it does not protect watch from damage. Watch is not packed in carton box, or as it is called in supplier sites, “retail packing box”. You can see many disappointed reviews from customers, who received damaged watch, with broken glass for example. Of course all goods cost some money. In this case, price of watch is added to shipping price. Usually, it is called “small shipping fee”, and it is $10-$12 for one watch. Let’s do some math. Even if watch is very cheap, online shop need to order it and pay that price. It is possible to find watches for price less than $1 from Chinese manufacturers. Cheapest shipping service in most cases costs about $1-$3 for such small item. So total costs for typical cheap wristwatch with shipping is about $2-$4. Pretty nice profit of $8 for seller, if costs are kept at $2 and customers pay $10. Of course, there is other expenses also, such as FB and Instagram advertising, but anyway – you will overpay for that quality of watches. There is lot of online stores offering “watches for free pay only shipping”. Their main task is to attract as much visitors as possible to their sites. Conversion rate is few percents of all visitors, so the more eyeballs see the offer, the more profit online store can earn. Facebook and Instagram advertising is the best option. FB allows to create cheap campaign, create specific audiences, create look-a-like audience. If there is interesting image in post, it can get shared many times in natural way. In store webpage you will see lot of marketing tricks, such as various popups, offering even more discounts, offering to add email for newsletter, informing that somebody ordered new watch just now. If you feel comfortable with such aggressive pressure, then of course, you can give it a try, just do not forget that quality of such low end watches will be very very poor. If you still want one of the watches, it is up to you of course. But I would suggest to find that watch on some reliable store, for example, Amazon. Of course “watches for free pay only shipping” is simple marketing trick to fool customers. Many shops and retailers make such campaigns, but I don’t like when sellers thinks about customers as idiots who will believe in all fairy tales. You can think, $10 is not so high price and it is not a big deal, let’s grab those watches. But you should know, that you will be disappointed most likely with poor quality of such timepiece. 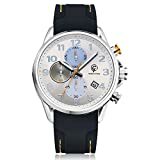 You can buy a much better wristwatch for same price of $10-$12 from Amazon! Amazon is biggest store with best reputation and you can see all costs before ordering any item on their site. I spent a lot of time creating online stores in the past, and I know quite a lot about that business. I spent a lot of time working with Amazon as well. And you can be sure that I am not recommending Amazon because of any affiliate commissions I can get. For $10 worth wristwatch, commission is quite small, so there is no room for big profit. 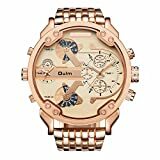 I just like to browse Amazon, to find out new and interesting watches in different price segments, and share them with friends. Amazon is biggest store with best reputation and you can see all costs before ordering any item on their site. To take in mind that “free watches” offer comes with $10 shipping, you can find much better quality watches in our store category under $10 and in total, you will pay even less than $10! If you are not on so tight budget, then take a look in our Store page, in BEST PRICE category. There is high quality watches from well known brands and difference in quality and style comparing with cheapest ones is enormous! 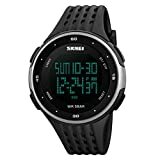 It’s hard to believe, that price for this amazing sports watch is almost the same as for those from “free” category! Or maybe, would you choose this one beautiful timepiece, with mainly five star ratings from trusted seller, or better a couple of cheapest ones, for the same price, from unknown online store? If you want, famous brands and outstanding quality, navigate to the TOP CHOICE category. My favourite from this category is this DIESEL smartwatch, and vintage beauty from Stührling! I will take a look on some interesting brands and models soon, so don’t forget to bookmark my site. One more opinion on free watch tricks.